Jason Robert Brown is an American musical theatre composer, lyricist, and playwright. Brown's music sensibility fuses pop-rock stylings with theatrical lyrics. An accomplished pianist, Brown has often served as music director, conductor, orchestrator, and pianist for his own productions. He has won Tony Awards for his work on Parade and The Bridges of Madison County. Following a move from New York City to small-town Indiana, young Evan Goldman grapples with his parents' divorce, prepares for his impending Bar Mitzvah, and navigates the complicated social circles of a new school. 13 is the only Broadway musical ever with a cast and band entirely made of teenagers. It originally began previews on September 16, 2008 and officially opened on October 5, 2008 at the Bernard B. Jacobs Theatre. The Broadway production closed on January 4, 2009 after a total of 105 performances. The show was directed by Jeremy Sams and starred Graham Phillips as Evan Goldman and Allie Trimm as Patrice. It also starred Corey Snide as Evan on the matinee performances, Aaron Simon Gross as Archie Walker, Eric Nelsen as Brett Samson, and Delaney Moro as Kendra. The 2008 Broadway production is notable for being the professional debuts of Ariana Grande and Elizabeth Gillies who would later go on to star together in the Nickelodeon television series Victorious . Jeremy Sams is a British theatre director, writer, translator, orchestrator, musical director, film composer, and lyricist. Alexandria "Allie" Trimm is an American singer and actress, active on Broadway, in regional theater and on television. She began performing in professional theatre in her native San Diego, California at age nine. Twelve-year-old New Yorker Evan Goldman is soon to have his Bar Mitzvah, and he wants his party to be amazing, but that might not happen because his parents are splitting up as his father starts to fall in love with a stewardess, which causes his mother to file a divorce against her husband ("Thirteen/Becoming A Man"). Just as Evan thinks that maybe things will be fine, his mother calls to tell him that they are moving to Appleton, Indiana. Once there, however, Evan finds a friend in his neighbor, Patrice, who develops a small crush on Evan while telling him how Appleton, Indiana is ("The Lamest Place in the World"). Later that month, Evan meets Brett Sampson, the most popular kid in school with his goons Malcolm and Eddie, and tells Brett and his friends to take Kendra, a very pretty girl whom Brett wants to date, to a scary movie where Brett can do "The Tongue". Brett nicknames Evan "Brain" because of his idea. Later, Brett asks out Kendra, but Lucy, her jealous friend who has a crush on Brett, tries to tell Kendra she can't go ("Hey, Kendra"). When Brett tells Evan that the idea seems to have worked, Evan is thrilled; this means that Brett will come to his Bar Mitzvah, and if Brett comes, everyone else will come. Patrice, however, is displeased. If she goes to the Bar Mitzvah, nobody else will go because all of the others hate her and Evan will be viewed as hanging out with a geek and "uncool". Evan does not think that it will be that bad, but when he hands out the invitations, he sees that Patrice is right, and in a moment of panic, he rips up her invitation so that the popular kids will come ("13 (Reprise)"). As the other kids express their excitement over Evan's party, Archie enters and introduces himself. He is upset at Evan for humiliating Patrice – his best and only friend – but promises to help to make it up to her if Evan gets him a date with Kendra. When Archie’s attempts to use his degenerative illness to guilt Evan into getting him the date do not work, Archie tries to convince him that Evan is the only one who can get Archie the date and if he doesn't, Archie will show up to Evan's Bar Mitzvah and ruin it ("Get Me What I Need"). Evan finally relents. Later, at cheerleading practice, Kendra teaches a new cheer while Lucy resolves to make Brett her boyfriend ("Opportunity"). Archie tries to talk Patrice into giving Evan a second chance, especially since she has a crush on him, but she has lost faith in him and is still upset at what he did to her ("What It Means To Be A Friend"). In class, Brett tells Evan to get his mother to buy them all tickets to "The Bloodmaster". Evan protests that his mother will not buy them tickets to an R-rated movie, but Brett points out that if she does not, nobody will go to his Bar Mitzvah and Evan will be the uncool one. Evan cycles through possible plans, eventually realizing that he will have Archie use his illness to guilt Evan's mother ("All Hail the Brain/Terminal Illness"). To make things better with Patrice, Evan asks her to go to the movie with him as a date. He then realizes that he "just set Brett and Archie up to be on dates with the same girl, on the same night, in the same place...." Evan makes Archie promise to do nothing more than sit next to Kendra so as not to screw up Brett's date. Archie agrees, and everyone prepares for Friday night ("Getting Ready"). Everyone gets to the movie, and Brett prepares for "The Tongue", Lucy is on "Tongue Patrol", and Kendra waits for it along with Brett's goons, Eddie and Malcolm, but amidst it all, Patrice is upset because Evan is not sitting with her; he is saving a seat for Archie ("Any Minute"). When Archie gets there, he pokes Brett with a crutch, and panic ensues: Archie squeezes his face, closes his eyes, and goes in to kiss Kendra, while Brett at the same time, turns his head, sticks out his tongue, and goes in for the kiss. Evan sees, and as he mouths 'Nooooo! ', reaches to pull Kendra back, while Lucy reaches for Kendra, too, but only so she can stop Kendra from getting the tongue. When Brett and Archie don't realize that Kendra is out of their way, their mouths meet. Kendra knees Brett in the crotch, trying to stop him from hurting Evan or Archie, after Archie reveals how Evan set him up on a date with Kendra. Brett breaks up with Kendra, and Lucy asks if Brett's "tongue is still available." Meanwhile, Evan is left alone by Patrice ("Good Enough"). As Lucy and Brett begin dating, she forces him to spend increasingly more time with her. Brett's friends recognize that Lucy is good neither for Brett nor for them at all ("Bad News"). Evan promises to help to get Brett and Kendra back together so that he can get back on everyone’s good side. Archie, fearing that this is a suicide mission, begs Patrice to help Evan. She tells Archie she is not going, but he knows that she is lying. When Patrice gets there, she surprises Evan by helping him help Brett, but instead of telling Brett what to say to Kendra, they end up telling each other that they are sorry, but Brett is oblivious ("Tell Her"). Brett takes their advice, and when he learns that Lucy and Kendra are fighting over him, he interferes, and makes a feeble attempt to get Kendra back, and, to his surprise, she comes back to him. Meanwhile, Lucy learns of it and won't take the hit. She spreads a rumor that Kendra is cheating on Brett with Evan, and then gets Evan and Kendra in the same place so that Brett can catch them ("It Can't Be True"). Her plan works, and Brett lashes out at Evan. Evan, finally having enough of Brett, stands up to him and says that Archie and Patrice are his real friends. After Brett insults Archie and Patrice, Evan shoves him, but Brett only punches him in the nose, causing it to bleed. Patrice immediately rushes to Evan's aid. Kendra shows kindness towards Archie before running after Brett. Evan wants to call off the Bar Mitzvah because it would only be him, Patrice, and Archie, but Patrice and Archie point out it that won't be that bad, and Evan starts to agree, and then he surprises Patrice with a kiss, and she surprises him back ("If That's What It Is"). Evan has his Bar Mitzvah after all; he is starting to understand what growing up means, and the characters tell of what surprises turning thirteen brought for each of them ("A Little More Homework"). Evan tells the audience that he is "thirteen years old. And [he's] just getting started." An encore is performed to end the show ("Brand New You"). "Good Enough" was included in the Original Broadway Production, but was not on the Cast Recording. "Opportunity" and "Here I Come" were both included on the Original Broadway Cast Recording, but were cut from the production before opening night. The song "Here I Come" originally came after "Good Enough", followed by "Opportunity", which was retooled and included in the MTI Version with new lyrics and a new spot in the show. "Being a Geek" was likewise not included in the Original Broadway Production, but took the place of "Here I Come" in the MTI Version. Todd Graff is an American actor, writer and director, best known for his 2003 independent film Camp and his role as Alan "Hippy" Carnes in the 1989 science fiction film The Abyss. The Norma Terris Theatre is a theatre in Chester, Connecticut, and the home theatre of Goodspeed Musicals. Chester is a town in Middlesex County, Connecticut, United States. The population was 3,743 at the 2000 census. The town center is also defined by the U.S. Census Bureau as a census-designated place (CDP). The name is a transfer from Chester, in England. Goodspeed Musicals is a non-profit organization dedicated to the preservation and advancement of musical theater and the creation of new works, located in East Haddam, Connecticut. A distinctive feature of the view from the Connecticut River, the Goodspeed Opera House is the birthplace of some of the world's most famous musicals, including Annie, Man of La Mancha and Shenandoah. 13 the Musical's production of 13 The Musical was produced by Eternal Theatre Collective. It was performed at the Red Gate Review stage in downtown Vancouver from August 9–12, 2017. The cast consisted of youth between the ages of 13–20, and ran a nearly sold out run. This was one of the very few Canadian productions of 13: The Musical and the first in Vancouver of over eight years. The production received rave reviews,  however they did not extend the production. 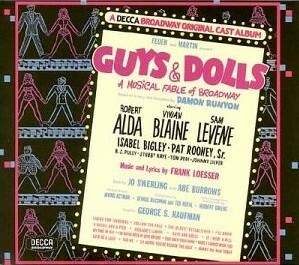 Guys and Dolls is a musical with music and lyrics by Frank Loesser and book by Jo Swerling and Abe Burrows. It is based on "The Idyll of Miss Sarah Brown" and "Blood Pressure", which are two short stories by Damon Runyon, and also borrows characters and plot elements from other Runyon stories – most notably "Pick the Winner". You're a Good Man, Charlie Brown is a 1967 musical comedy with music and lyrics by Clark Gesner, based on the characters created by cartoonist Charles M. Schulz in his comic strip Peanuts. The musical has been a popular choice for amateur theatre productions because of its small cast and simple staging. The Last Five Years is a musical written by Jason Robert Brown. It premiered at Chicago's Northlight Theatre in 2001 and was then produced Off-Broadway in March 2002. Since then it has had numerous productions both in the United States and internationally. She Loves Me is a musical with a book by Joe Masteroff, lyrics by Sheldon Harnick, and music by Jerry Bock. Jekyll & Hyde is a musical horror-drama loosely based on the novella Strange Case of Dr Jekyll and Mr Hyde by Robert Louis Stevenson. Originally conceived for the stage by Frank Wildhorn and Steve Cuden, it features music by Wildhorn, a book by Leslie Bricusse and lyrics by Wildhorn, Bricusse and Cuden. After a world premiere run in Houston, Texas, the musical embarked on a national tour of the United States prior to its Broadway debut in 1997. 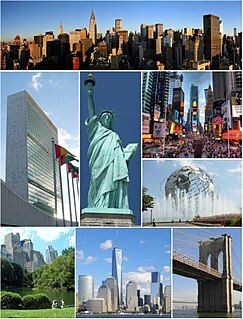 Many international productions in various languages have since been staged including two subsequent North American tours, two tours in the United Kingdom, a concert version and re-vamped US tour in 2012 ahead of a 2013 Broadway revival. Dracula, the Musical is a musical based on the original Victorian novel by Bram Stoker. The score is by Frank Wildhorn, with lyrics and book by Don Black and Christopher Hampton. Kendra Kassebaum is an American theatre actress who has performed in many different musicals, and is most noted for her role as Glinda in the first national tour, Broadway, and San Francisco casts of Wicked. 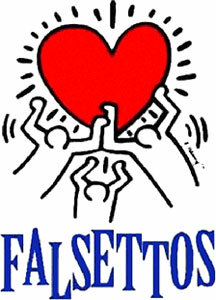 Falsettos is a musical with a book by William Finn and James Lapine, and music and lyrics by Finn. The musical consists of March of the Falsettos and Falsettoland, the last two installments in one trio of one-act Off-Broadway musicals. The story involves Marvin, his ex-wife Trina, his psychiatrist Mendel, his son Jason, his lover Whizzer Brown, and his neighbors Cordelia and Dr. Charlotte. 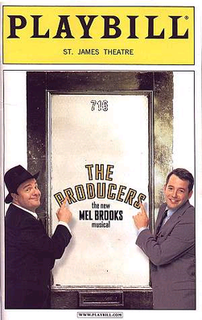 The musical premiered on Broadway in 1992 and was nominated for seven Tony Awards, of which it won Best Book of a Musical and Best Original Score. It was revived on Broadway in 2016, and the revival performance was nominated for five Tony Awards including Best Revival of a Musical. 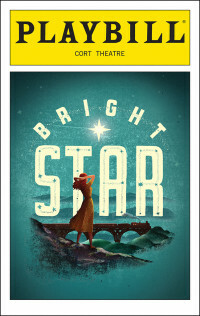 Bright Star is a musical written and composed by Steve Martin and Edie Brickell. It is set in the Blue Ridge Mountains of North Carolina in 1945-46 with flashbacks to 1923. The musical is inspired by their Grammy-winning collaboration on the 2013 bluegrass album Love Has Come for You. ↑ "13: Opening Night Cast". Bernard B. Jacobs Theatre. Playbill. Archived from the original on 2013-10-19. Retrieved 18 October 2013. ↑ "Playbill Vault". Musical 13. Playbill Vault. Archived from the original on 2013-10-19. Retrieved 18 October 2013. ↑ "13: Opening Night Cast". National Youth Music Theatre. Archived from the original on 2014-07-14. Retrieved 20 June 2014. ↑ "Avi Chai". World News. ↑ Shenton, Mark (30 August 2012). "U.K. Company of Jason Robert Brown's 13 Records Cast Album". Playbill. Archived from the original on 2014-07-18. Retrieved 20 June 2014. ↑ "13: The Musical (Original West End Cast Recording) by Jason Robert Brown". 18 December 2012. ↑ "13 (Original West End Cast Recording)". Ghostlight Records. ↑ "《13》音樂劇 - Timable". Timable. ↑ ""13" the musical". Archived from the original on 2016-03-04. Retrieved 2019-01-11. ↑ Chris Eaton. "New Adelaide Theatre Guide: South Australia's Only Comprehensive Internet Guide to Local Arts". Archived from the original on 2012-03-10. Retrieved 2012-03-06. ↑ Clayton, Kym. "13 - A New Musical". www.thebarefootreview.com.au. ↑ "13 – A New Musical | BankSA Talk Fringe". Archived from the original on 2012-03-10. Retrieved 2012-03-06. ↑ Jeugdtheater Ondersteboven vzw, Production details for first dutch performance. ↑ "About Eternal Theatre - Vancouver BC". Eternal Theatre Collective - Vancouver. ↑ Gioia, Michael (12 August 2014). "Teenage Dream! CBS Films Will Bring Jason Robert Brown's 13 to the Big Screen". Playbill. Archived from the original on 6 January 2015. Retrieved 3 January 2015. ↑ Kit, Borys (12 August 2014). "CBS Films Bringing Musical '13' to Big Screen". The Hollywood Reporter . Retrieved 3 January 2015.